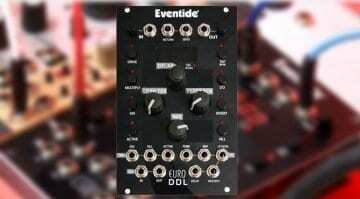 Eventide seems to be struggling a bit to get their new Eurorack EuroDDL module into the shops. 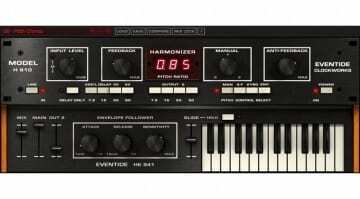 It was officially released at Summer NAMM but didn’t actually materialise. Now it’s being released again at AES New York 2017 this week. Apparently, there are only “limited quantities” available and general availability won’t be until January 2018. So you probably need to be in the in-crowd to have a hope of snagging one before then. But at $399 it’s cheaper than the last release and they’ve got us some decent photos this time. 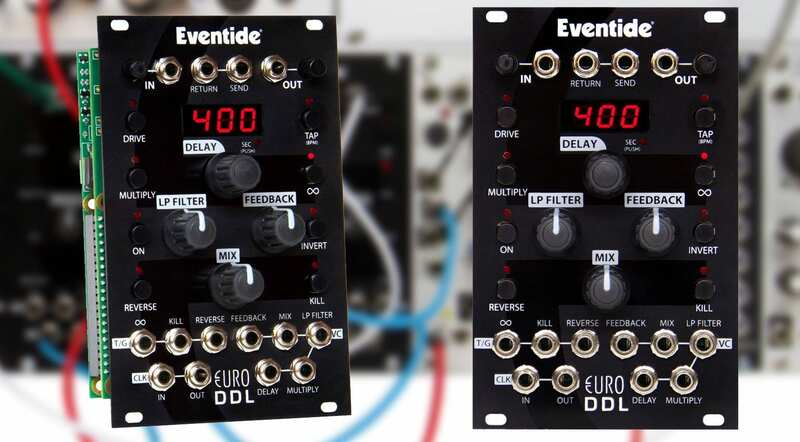 In a nutshell, the EuroDDL is a fully featured digital delay based upon their 500 series DDL-500 delay module. The digital heart is surrounded by all analogue components to give it Eventide’s classic vibe. 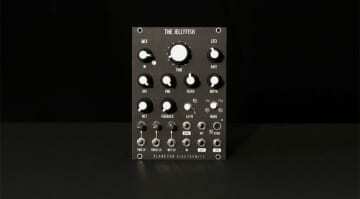 The soft saturation, low pass filter, feedback, insert loop and +20dB boost are all analogue. It has a 0.11 msec resolution going up to a long 10 seconds at 192kHz or 160 seconds at a crunchy 16kHz sample rate. It’s just at home with flanging and comb filtering as it is with ponderingly long echoes and backwards infinite delays. Everything is CV controllable. 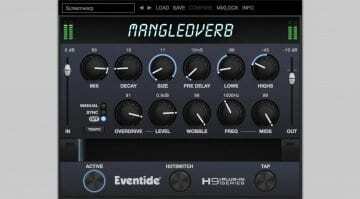 Eventide believes in making it an instrument to be played. Filter, mix, filter, delay time and multiplier can all be voltage controlled. Infinite, “kill” and reverse can all be triggered and gated. The Clock can be derived internally from a tap or clocked to some other part of your system. As I mentioned before it’s not stunning to look at but it sounds like it could be an enormous amount of fun to play with, and that’s far more important than a pretty front panel. If anyone could send me one to try that would be super! Or if you’re in New York this week then get yourself to the Jacob K Javits Convention Center (with $75 to get in) and hear it for yourself.